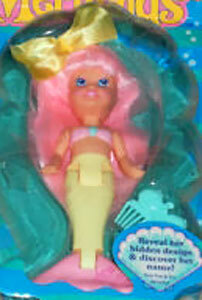 and Hasbro Game and Toy Instructions! 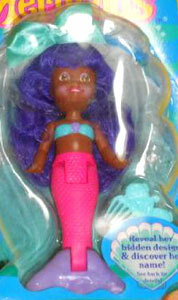 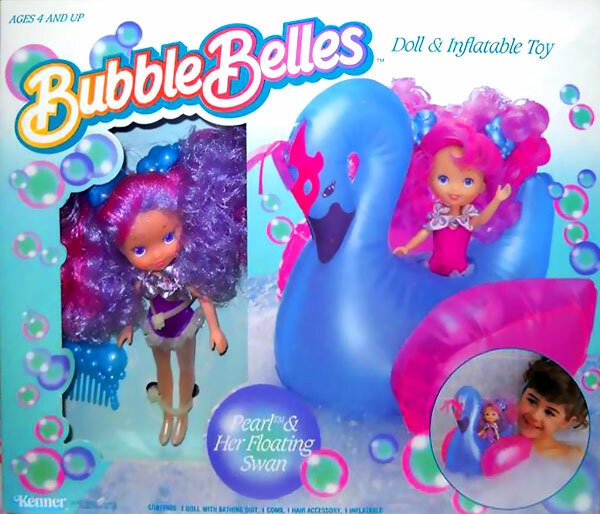 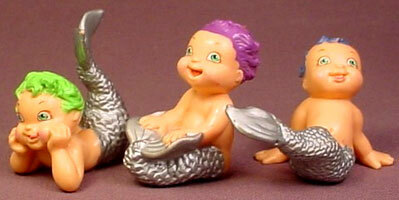 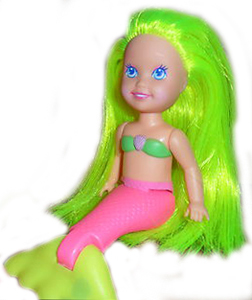 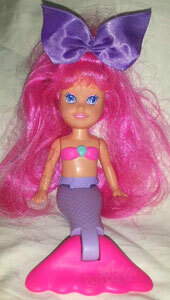 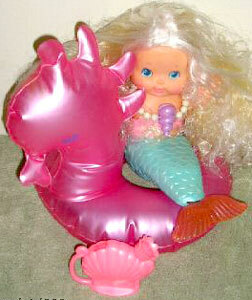 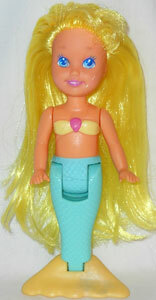 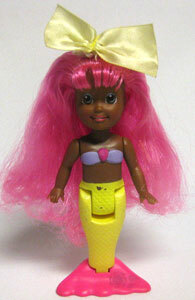 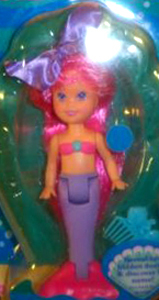 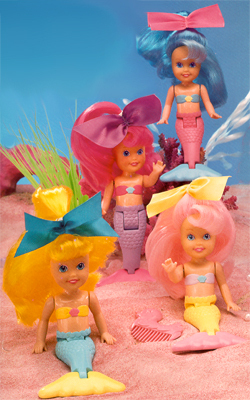 There were four original dolls produced. 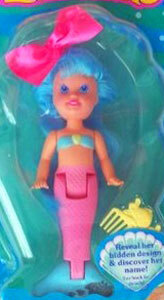 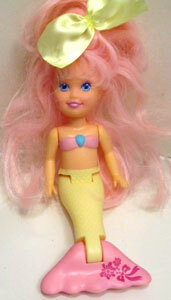 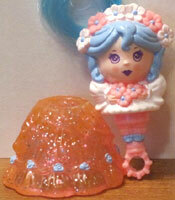 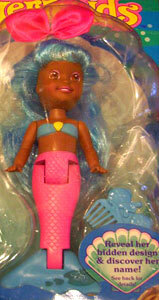 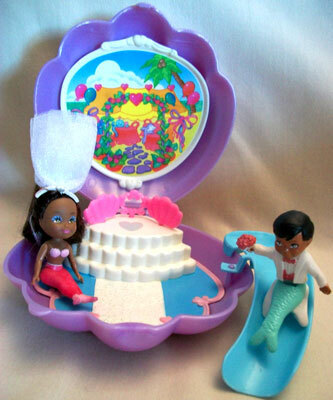 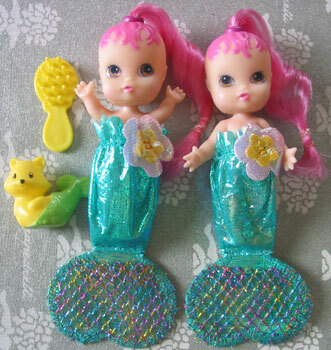 They each came with a hair bow and a comb with fish on the top. 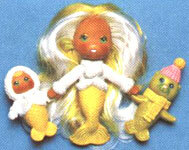 These four doll were also released as black dolls, and had completely different colourings. 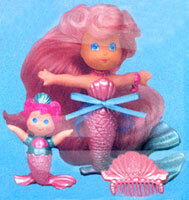 It is interesting to note that the publicity image below show the mermaids with My Little Pony combs, rather than the combs they were actually sold with!